MANCHESTER – On Friday night, the New Hampshire Democratic Party held its 60th annual McIntyre-Shaheen 100 Club Dinner. 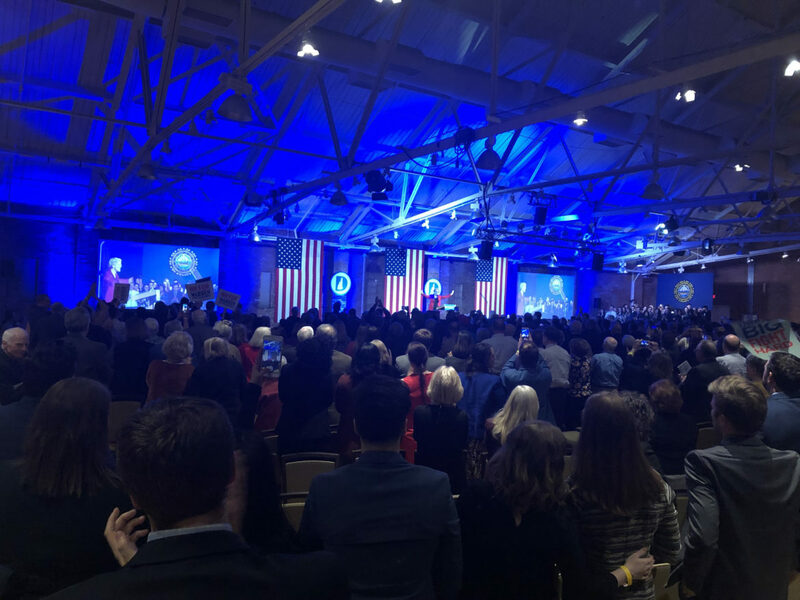 Over 900 Democratic activists and officials gathered to hear from Senator Jeanne Shaheen, Senator Maggie Hassan, Congresswoman Annie Kuster, Congressman Chris Pappas and keynote speaker, Senator Elizabeth Warren. NH House Speaker Steve Shurtleff, NH Senate President Donna Soucy, and Manchester Mayor Joyce Craig also delivered remarks. At this event, State Senator Molly Kelly was awarded the McIntyre-Shaheen Legacy Award, and the Honorable Jim Vershueren was awarded the Dunfey-Kanteres Award. “Tonight’s McIntyre-Shaheen 100 Club Dinner was an incredible celebration of our many hard-earned victories of 2018 and will serve as motivation for us as we head full-steam-ahead into 2019 and beyond. Congratulations to our award recipients and thank you to our federal delegation and Senator Elizabeth Warren for making tonight such a success!